A lot of people make the outdoors their go-to destination, making knowing where to go camping a top priority. The interesting thing is that it makes its way to the number one activity the older you get from my age group. That speaks volumes. The big question is the destination. And it makes a huge difference whether you’re in a tent, RV, or a glamping set-up. I’ve rounded up some must-see spots to put on your radar. Let’s face it. Not everyone wants to sleep under the stars and cook over an open fire during their camping trips. That’s okay! The site you stay at will dictate your choices. You may have your choice of tent, RV, cabin, or glam. Each one has its pros and cons—and depends on your gear investment. Don’t be fooled. Just because you’re deciding to rough it doesn’t mean that you’ll get away with the cheapest way to go camping. You get what you pay for as the old saying goes. And they knew their stuff. Even if you’re in a tent, electricity is useful to have so that you can run a fan or an electric blanket, depending on the conditions. 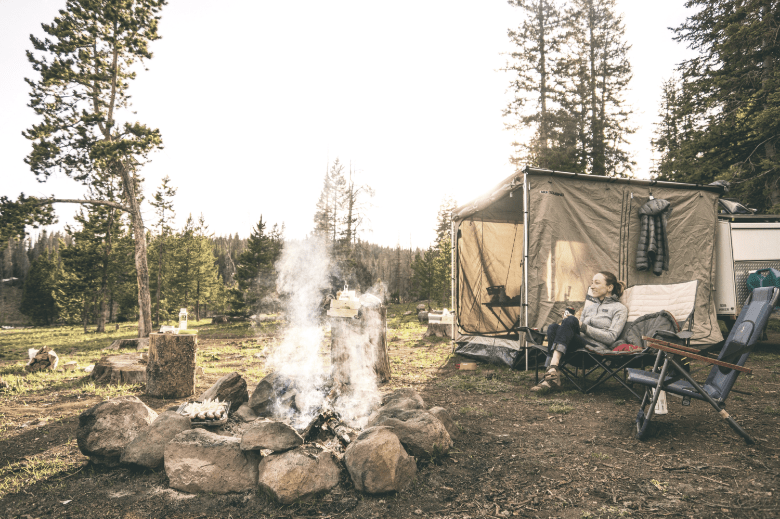 Camping isn’t going to break the bank, but you will pay more for a site that has a power hook-up than one that does not. If you’re on a budget, that’s something you need to consider. Think about what it means though. 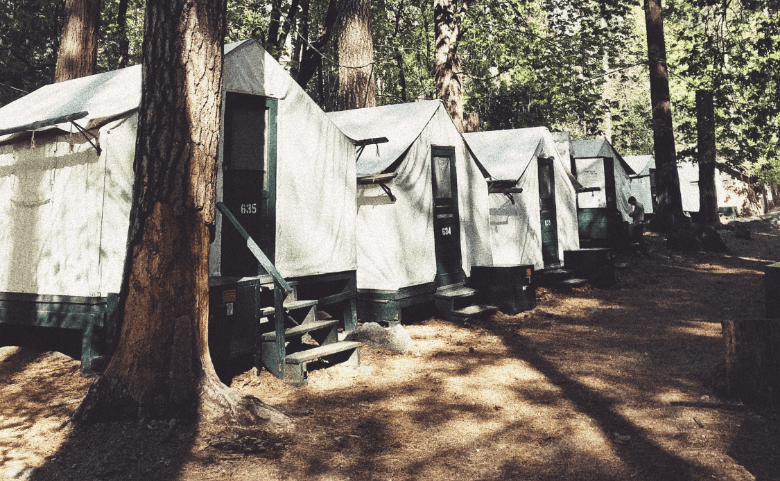 A campground with electricity means TVs, air conditioners, and other devices that can ruin a wilderness experience. Most sites regardless if they’re private or public have some extra perks to entice people like you to visit them. They’ll also give you some clues about what you can expect. Campgrounds with playgrounds and pools cater to families with younger children. If you’re looking for an adult trip, that may conflict with your plans. Look for other things like trails, shower facilities, and programs if you like that kind of thing. Check out the opportunities for fishing, hunting, and other outdoor activities to make your trip a more rounded experience. I’d also recommend checking out the site itself. Find out if there is a beach if you want to go swimming or kayaking. Don’t forget to look into rentals if you don’t want to haul the gear. Take a look at the topography of the site. Ideally, the campground’s website has pictures so that you can see where you’re camping. It’s more than the everyday bummer if you find out too late that you’re camping in the middle of a cornfield—with no shade! Often, you’ll find these places in remote areas. While that’s great for the quiet environment, it’s a major hassle if you need to stock up on groceries that you forgot to buy at the last large town. Jiffy Pop Popcorn and hotdogs are okay for one meal but not every single one. Let’s be honest. Everyone has their idea of what makes the best outdoor experience. It takes time to learn how to build a campfire, get the timing down for putting up a tent, and setting up your site. Camping is all about trial and error. You figure out that you have to tuck in the sides of your ground cloth under the tent to avoid a wet floor. You learn how to cook and wash your dishes without a dishwasher. You know not to bring snacks into your tent after you’ve had a few nocturnal visitors. If you’re a newbie, don’t opt for the walk-in backpack site without flush toilets if you’re not used to it. Likewise, don’t mistake the comfort of an air mattress with that of a memory foam hybrid bed. You’re setting yourself up for a wicked letdown. Trust me. Remember that camping means wildlife. The critters may rummage through your stuff after you’re asleep, or you may encounter the bold ones that all but pull out pistols and hold you up for your catch. Be prepared for either extreme. And a word to the wise, make sure that you consider it for everyone in your party. Just because you don’t mind sleeping on the ground does mean that Mom likes it too. Just saying. Camping is affordable which is one reason why so many people like it. However, you still have to figure out how much you want to spend. Gear costs money. Cabins don’t always provide linen. 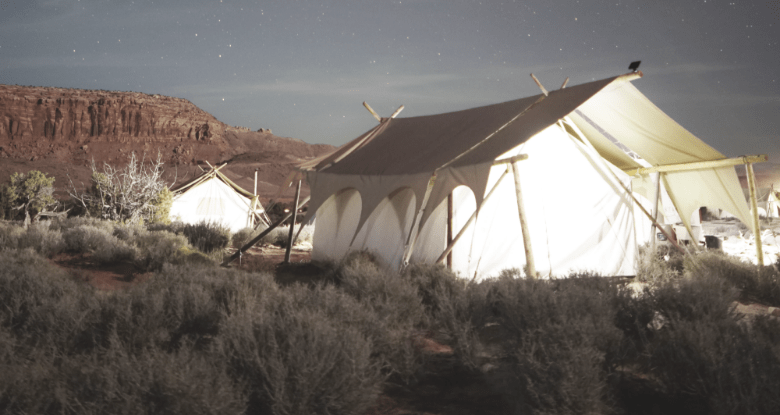 The rates for glamping sites match or exceed hotel room prices. Then, there is the reservation game. It’s easy enough at private campgrounds. You go to their website or give them a call. For state parks, you have to use ReserveAmerica.com. 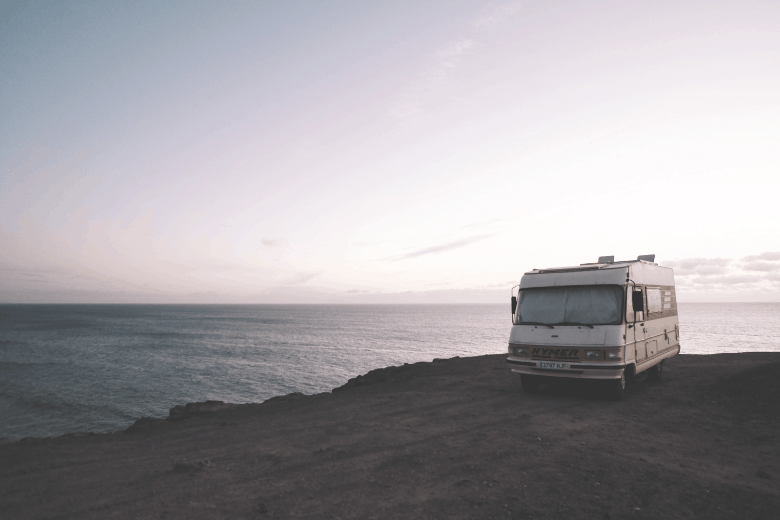 Many camping destinations have rules regarding when you can book a site that varies with the agency and type of accommodation. I’ve grouped the sites by the type of experience so that you can cut to the chase. Bear in mind that there is some overlap, especially with the bigger sites. Let the other factors influence your choice. Check to see where the tent sites are. Some places put us lowly campers in the remote and nasty ones just because we don’t have a vehicle in tow. Jerks! Tent campers often gravitate to sites with a view. We’re not distracted by the TV or other first-world things. We want the wilderness experience. That’s what you’ll find here and then some. The views are breathtaking. There is some excellent hiking here too. Don’t miss the Grove of the Patriarchs. And White River Campground is even better. No RVs allowed. The site offers other types of camping accommodations too. This site has several options to match the experience you’re looking for which makes it an excellent choice if you and your travel companion have different expectations. Whether you want to be close to water or town, you’ll get it here along with a rustic trip if that’s your flavor. And if you want to say you’ve walked the Appalachian Trail, you can take a few steps here and claim the t-shirt. It is a bucket-list-worthy site to visit. These are places that often capitalize on space. RVs are huge! They require electricity and facilities for taking care of gray water and other specialized needs. I’d strongly urge you to check out the camping sites themselves, especially with private campgrounds. Unfortunately, some of the smaller ones try to cram as many visitors as they can into their postage stamp-sized properties. It’s not fun if you end up next to the old guy who tells his war stories fifty thousand times or, even worse, snores enough to rattle the walls in your rig. The name says it all. The place has everything you need for a relaxing RV trip. It features full hook-ups with roomy sites. There’s Wi-Fi if you can’t get away from it all entirely. But there is also a lot to do and many opportunities to bond with Nature. You can take in the scenery with a walk on the boardwalk. You can go on a hike and immerse yourself in the beauty of the Upper Peninsula in Michigan. Nearby attractions like Manistique Breakwater Lighthouse and Kitch-Iti-Kipi Big Spring will give you plenty to do. This park has the distinction of having only seven sites on the site’s Echo Lake. It is an ideal spot for the RV camper who wants peace and solitude. It’s your base camp for hiking, fishing, and biking adventures. And how many places can you go on an aerial tramway? And the views are out of this world. It combines the convenience of an RV with the rustic experience of tent camping. They offer a shuttle service to take you to the trails too. The cabin is an excellent start. Other things you should check include what you get with the site. They may provide firewood and other perks. Some are barebones. Check to see how far you have to walk to get to them. Some are the permanent equivalent of a backpack-in site. Make sure to view pictures of them. It’s easy to wax romantic about a cabin tucked in the woods. It’s another thing if it’s well past its better days with an outhouse that doesn’t have a door. This site is a complete recreation getaway with lots of amenities with something to please everyone. The cabins are rustic yet include the basics like electricity and a ceiling fan. There are four different types from the standard to the deluxe plus which has a kitchenette, microwave, and even air conditioning. You can while away the afternoon fishing or canoeing. You, adventurous souls, can take a zip line over the lake. The park also has a full lineup of activities to make the kids happy too. It prides itself on being a family-friendly site. Okay, I’ll tell you up front that this park is more than a cabin camping adventure. It’s a blend of tent meets cabin meets glamp trip all in one. It features canvas accommodations that are nothing short of luxurious with comforters, beds, and electric stoves. And did I say private? We’re talking outdoor shower, backcountry kitchen, and even a fridge to store your beverages. They’ll also make your dinner for you. Keep this park in mind if you’re looking for a romantic retreat. It’s not cheap, and they don’t have a lot of cabins available. You’ll need to book this one early. Okay, I get it. And you should too. You’re going to pay for a luxury site. I have to admit that they’re worth it. It’s the perfect solution if you like the outdoors and your significant other, not so much. You both win! You can thank me later. These sites are all about selling it. You’ll likely see pictures—and lots of them. Use them to your advantage to make your case. It’s hard to say no to a campsite that has a jacuzzi with a king-sized bed. Count me in! I’ll admit that I have a soft spot for treehouses, a throwback to my childhood. This place blows me away. It has a romantic, cozy feel about it with the modern amenities we love like a hot tub and a resident kitty. There are your welcome basics like a shower, running water, and a kitchen. Think midnight snacks. The view is outstanding. I seriously could live here forever. The interior is gorgeous with a fun Victorian spin to it with a full kitchen. You could quickly forget that you’re in a treehouse. I know I had nothing like it as a kid. This place is so beautiful it makes me want to cry. Seriously. It blends rustic with romantic in such a gorgeous way. It’s all about comfort with a kitchenette, a stellar shower, and even a fire pit! You’ll get snacks, and wait for it, housekeeping too. Its selling point is its strong connection to nature. You are there, baby! If you’re afraid of heights, make sure to view the pics. You won’t know it once you’re inside because it’s so homey and comfortable. It is more like a cottage than a camping site. And I use that term loosely with this one. 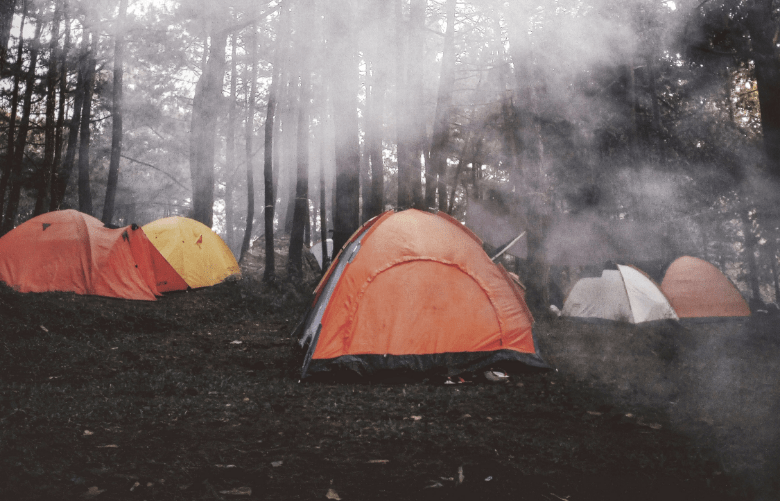 Deciding where to go camping depends on matching your expectations with the site. Keep your list in mind when deciding on a campground. It’ll save you and your companions a lot of hassle in the long run. It’s come along way since the days of the sleeping bag on the ground under the lean-to. And to this guy, that’s what makes exploring where to go camping so much fun.